Your day-by-day itinerary now includes Luxembourg Gardens as well as Palais Garnier - Opera National de Paris. Head to Champs-Elysees and Saint Germain des Pres Quarterfor plenty of shopping. You'll explore and learn at Centre National d'Art et de Culture George Pompidou and Musee d'Orsay. You'll find plenty of places to visit near Paris: Disneyland Paris (in Marne-la-Vallee) and Palace of Versailles (in Versailles). 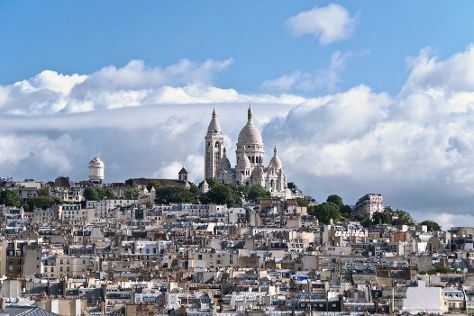 Next up on the itinerary: get to know the fascinating history of Montmartre, stroll the grounds of The Catacombs of Paris, take in the spiritual surroundings of Cathédrale Notre-Dame de Paris, and see the interesting displays at Musee Rodin. To find more things to do, maps, other places to visit, and other tourist information, refer to the Paris trip builder tool . If you are flying in from Oman, the closest major airports are Paris-Orly Airport, Charles de Gaulle International Airport and Paris Beauvais Tillé Airport. In November in Paris, expect temperatures between 12°C during the day and 6°C at night. Finish your sightseeing early on the 30th (Fri) to allow enough time to travel back home.